I was lucky enough to work with Fiona on the second project this year and I couldn’t be happier with the final result. 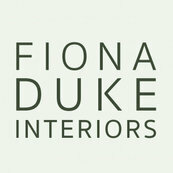 It is very obvious that Fiona has got magic touch in interior design and renovations. She was extremely dedicated during both projects and very involved from start to finish. She spent a lot of time in researching and presenting me with new ideas for my house taking my requirements into consideration. Looking forward to working with her in the near future!